can i just say that this museum made me more happy than eating gelato in italy. maybe that is going a bit far, but it was amazing. the rodin museum in paris was my favorite museum that i visited and i never thought it would be possible to go to one in the states! the museum entrance and gardens are by far the best part, and seriously makes you feel like you are in paris. 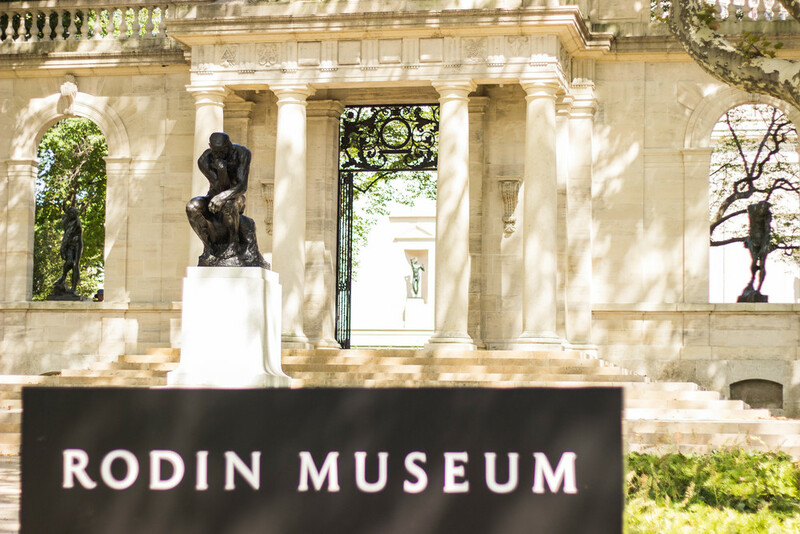 the interior has two large rooms filled with rodin's sculptures. jarman loved that it was a smaller museum, especially because we didn't have a ton of time in philadelphia. 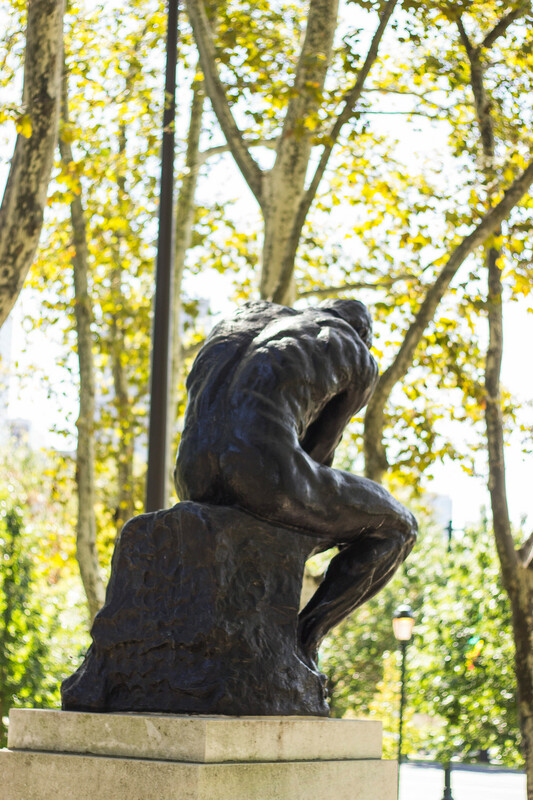 the thinker is one of the most well known sculptures throughout the world. 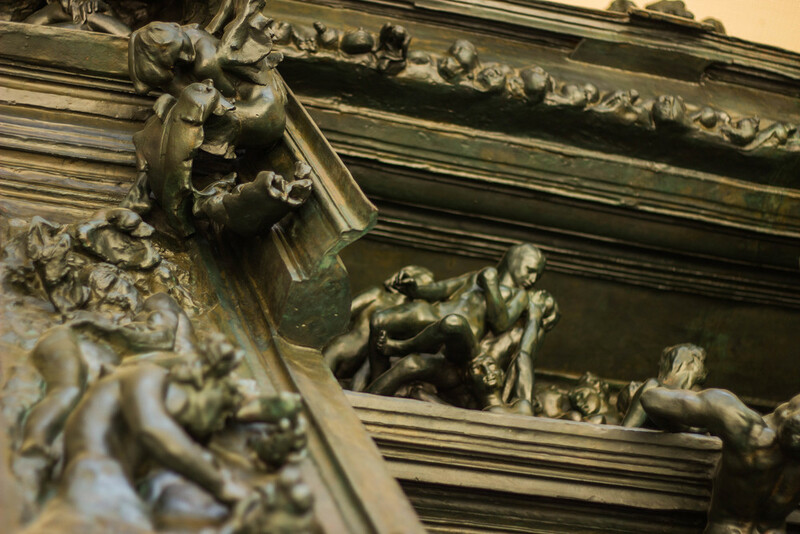 the idea for this piece was concieved when rodin was working on the gates of hell (which you will meet below). 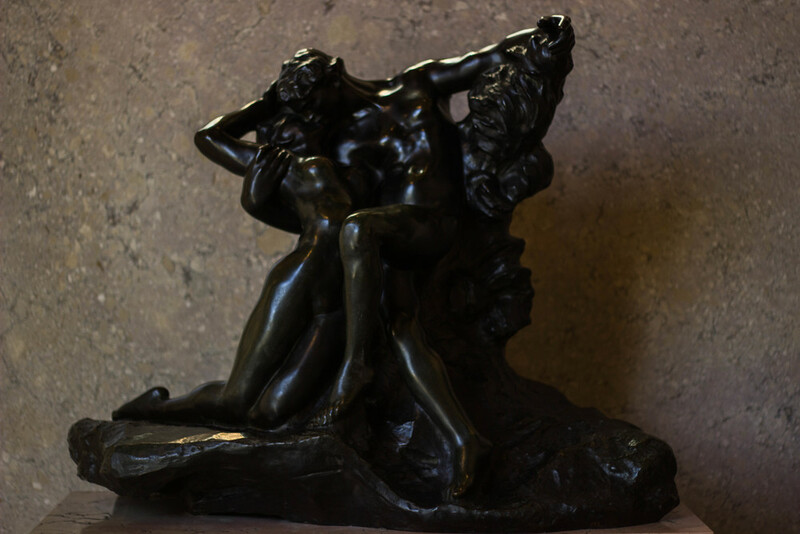 it originally represented dante, but rodin changed the name to have a more encompassing reach. the man uses his whole body to think, look at his toes digging into the surface below him. i love rodin's use of texture in his works, they feel so raw. 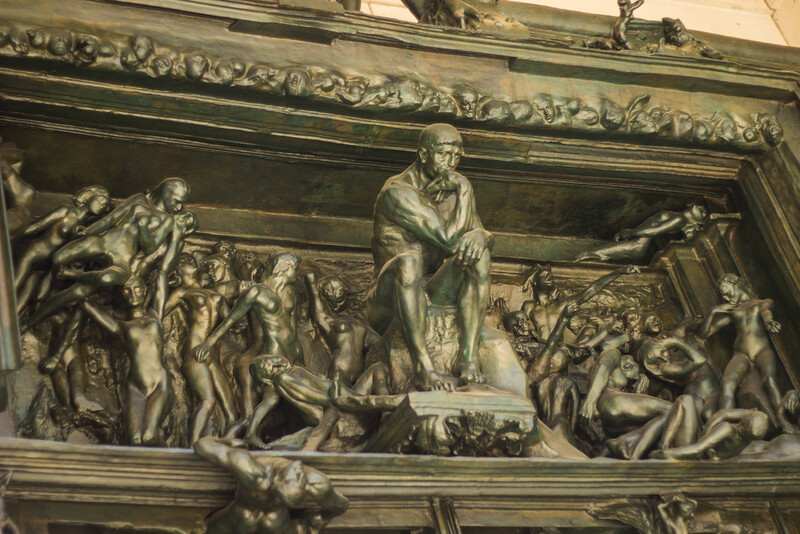 rodin was commissioned to work on the gates of hell early in his career, but never truly finished the piece. the theme was derived from dante's inferno, can you see the thinker/dante at the top? this sculpture was the gateway for many of his other sculptures that would be redone in more-than-life-size. how amazing is the dynamism and depth? have you ever seen such an intricate sculpture that comes so far out of its space and in to yours. i love the figures who seem to jump off of the door. the kiss was another work that was taken from the gates of hell. 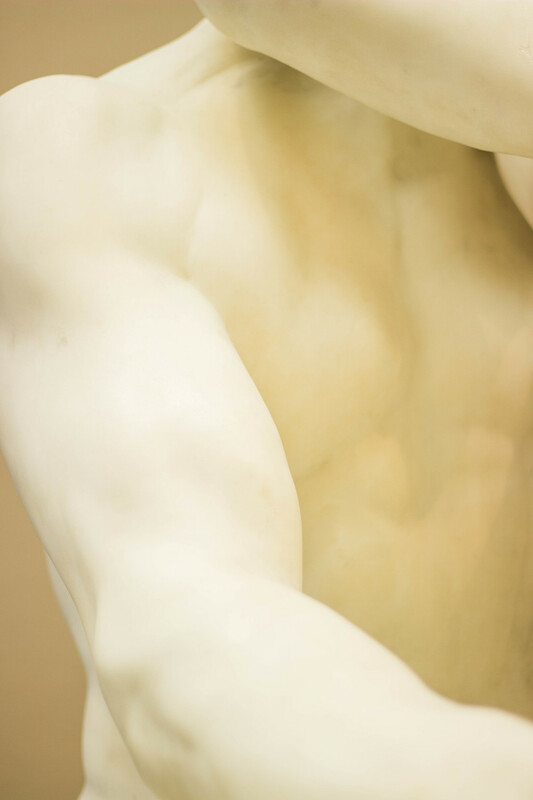 rodin believed that the human form was the best expresser of emotion, and boy does he sculpt the human form well. he sculpted many of his works multiple times, often using different mediums. i generally like his marble sculptures better, but he does have a way with working bronze. eternal springtime is my favorite of his works. i have seen it in marble and like that form better. doesn't it just make you want to be in love? a few more favorites. rodin is my favorite sculptor and i am so happy i got to visit this amazing museum. anyone who visits philadelphia must go to this museum!